"If you see the girl, it mean it's nearby." Well Go has released a new official US trailer for a psychological horror film from Korea titled The Mimic. This is the latest feature made by director Huh Jung (Hide and Seek) and it plays with a twisted ghost story concept based on Korean folk lore. The story follows a family that takes in a lost girl they find in the woods, but she doesn't seem to even be human. It's based on the idea of the Jangsan Tiger, who mimics human voices to lure them close. The Mimic stars Yum Jung-Ah, Park Hyuk-Kwon, Heo Jin, Lee Jun Hyeok, and Shin Rin-Ah. This does look eerie and somewhat creepy, but this trailer doesn't make it very clear where it's all going. Is there really a monster, or is it just the girl? The Jangsan Tiger, who mimics human voices to lure them close, encounters a family affected by the creature. 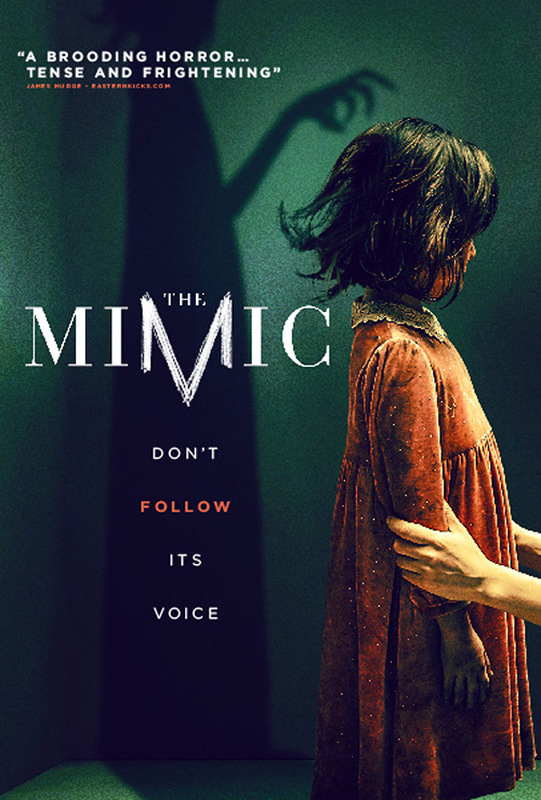 A classic Korean ghost story gets a horrifying new spin in The Mimic, as the mother of a missing child takes in a lost girl she finds in the woods and soon begins to wonder if she is even human. The Mimic, or Jang-san-beom in Korean, is both written and directed by Korean filmmaker Huh Jung, director of the horror film Hide and Seek previously. This already opened in Korea last fall, and hasn't played at any other film festivals. Well Go USA will release Jung Huh's The Mimic in select US theaters starting June 12th this summer. For more info and updates on The Mimic, visit their official website. Anyone want to see this film?